Thanks for your patience. : Is There A Problem Here? : Thanks for your patience. 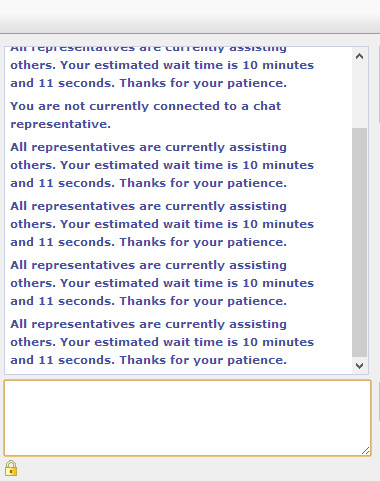 For well over 10 minutes, and 11 seconds, the automated online chat hold messages have been telling me that my estimated wait time is "10 minutes and 11 seconds". That seems overly precise; especially when the value isn't being updated.